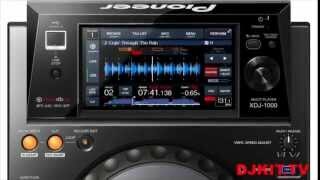 Considering purchasing the Pioneer XDJ-1000? Have questions? Ask people who've recently bought one. Do you own the Pioneer XDJ-1000? Why not write a review based on your experience with it. Incredible players for the money, I moved from a pioneer controller to these which was a nice easy transition. Quite Similar to the 2000 nexus, obviously not as good but they have kept some key functions. Jog wheel feels alittle light compared to the 2000nxs but easy to get to grips with in the end. Again definitely worth the money if your not ready to pay for the nexus! If your thinking about the CDJ 2000s and are only going to use the usb inputs save your money and get these! 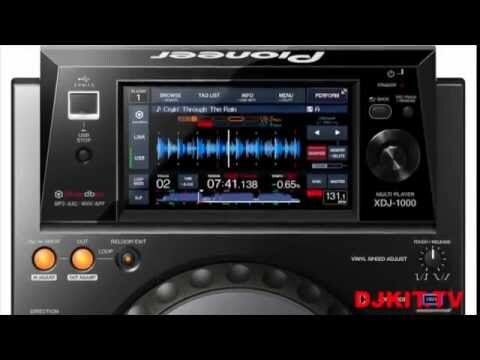 These decks are the closest product to the cdj 2000 nexus 2 without the big cost. The touch screen is very responsive and has a high resolution screen. Definitely worth the money. Never used the 2000s but I don't use CDs so I went for these after many reviews. They just work. Touch screen is amazing everything you need. Mk2 need a light round the jog dials And rings round the cue and play pause button. Apart from that amazing. Light and we'll build too. I made the transition from vinyl to controllers, back in 2006, although its only now have I been able to get hold of 2 of these and the nexus 2000 mixer, these Are fantastic, and very easy to get the hang off, once you have mastered pioneer record box, I would recommend these I love them. Next day speedy delivery arrived in mint condition, thanks DJ kit . What can I say? These beauties are amazing. Everything the flagship model has and then some. Oh and half the price as well! They mix like a dream and intuitive to the mix. Reviewers will refer to its weight as a suspected build quality issue but really they are light but this is due to having no hefty CD drive mechanism. I mean has anyone felt the weight of a CDJ 2000 nexus without a CD drive. Its just as light an XDJ 1000. Save yourself some money on these over the flagship model for your home setup. You will be really impressed I assure you! Having decided to make the transition from controller based DJing (Traktor S2) I had decided to go CDJ until I heard about the XDJ1000 - this is a phenomenal piece of kit which I found intuitive to use and an exceptionally easy transition. Not to mention the fact it was so easy to set up, plug two XDJ's in to a ethernet switch, with a mixer, monitors and laptop (preloaded with Rekordbox and all my tracks analysed) I was up and running in under 2 hours. Despite being lightweight, the XDJ has a solid feel to it the onboard touchscreen Redkordbox means you're not being distracted by the laptop and can focus more on playing the tracks and (in my case right now) experimenting with techniques I found difficult to perform with my old setup when you bring the DJM 900 in to the picture too. It also important to mention the help from DJkit staff - when I went in to take a look I found them helpful throughout and when ordering it was an easy process with no real drama involved. Anybody else considering the transition from PC or Controller based DJing you wouldn't go far wrong with these. Great bit of kit and works very well in mobile or small club use. 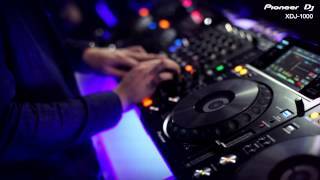 Seen a video for Pioneer XDJ-1000 online or have you own video? You will earn 1,578 loyalty points with this product worth £3.95, when logged in. 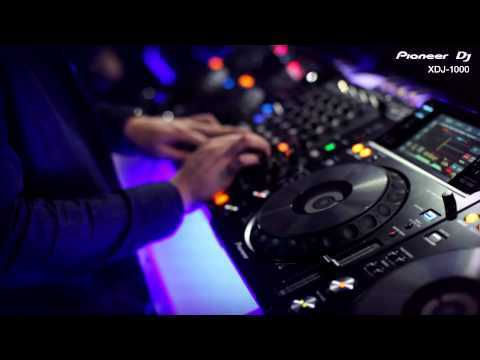 Check out Pioneer XDJ-1000 on DJkit.com!